Home > New: the tablet Histopad ! New in May 2018 : Back in time with the Histopad ! 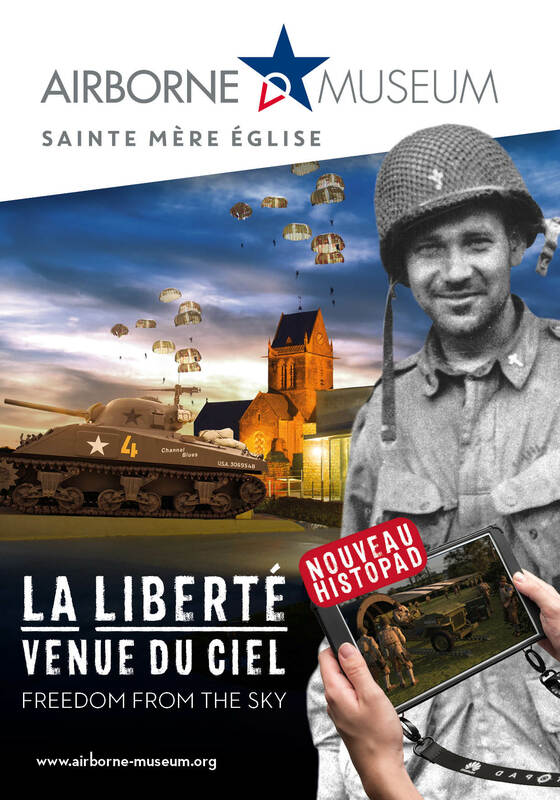 Thanks to the Histopad tablet, dive into the history of Sainte-Mère-Eglise during D-Day : jump with the US paratroopers, take part in the combat around the city, meet key figures, and interact with the weapons and gear of both sides. Experience the whole event as you visit! 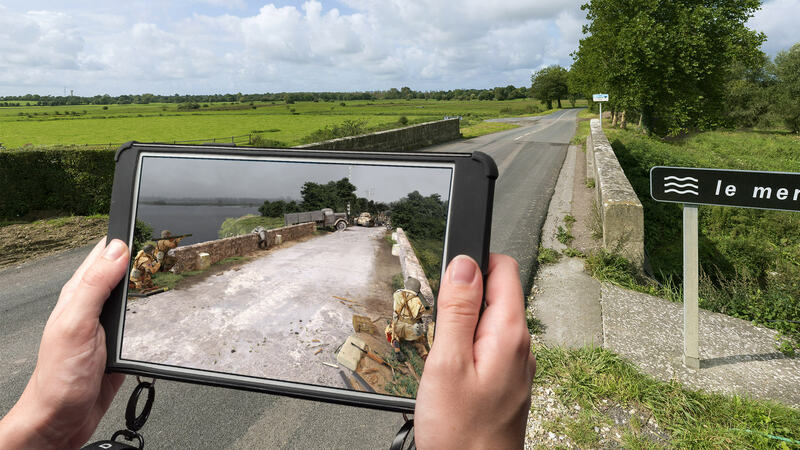 Thanks to the hyperrealistic graphisms of a touch pad, you will be transported to the heart of Normandy in 1944 and experience the highlights of the Normandy landings. Immersion guaranteed! Be a witness of the German occupation, attend the landing of gliders, manipulate weapons and equipment to understand how it works… all this is now possible thanks to high technology of the histopad! + Presented to all individuals over 6 years old and groups visiting without guide. Included in the price of entry.